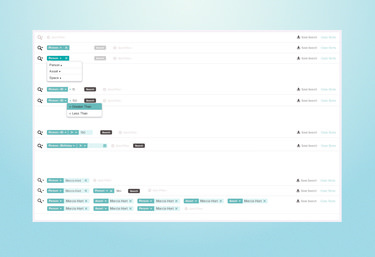 I modernized the user flow and interface of Roomtag’s online space management tool. 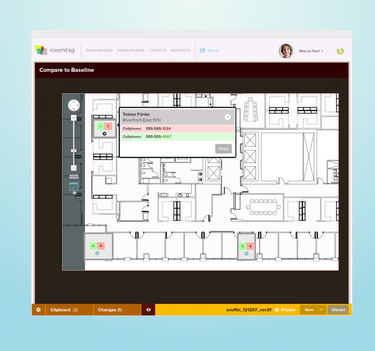 Roomtag’s space management software had a robust feature set with poor usability and a spreadsheet interface. I took stock of the powerful features, talked with power users and prospective users, and re-organized the application around a simplified set of actions customers needed most. I created an interface concept for navigating floorplans across a company’s different buildings. Here, the navigation still mirrored their original flat & wide architecture. I re-organized the navigation around the people, spaces, and assets that make up a company. The faceted search tool I introduced gave customers quick access to any data point. Faceted search allows customers to get specific with their search queries, which they can save for quick recall of information. 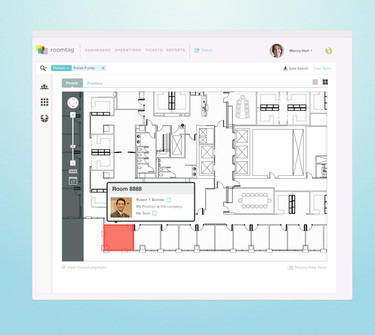 Roomtag built a floorplan navigator for visual exploration and work within a building’s floors. Customers made it clear that having an audit log and roll backs helped them feel confident in their work, and provided the oversight needed in some corporate environments. I found customers either had space planning, or asset tracking tasks, but they did not do both those tasks at the same time. 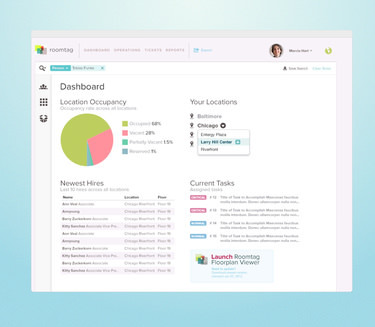 I worked with Roomtag to move their asset tracking functionality into a separate service. 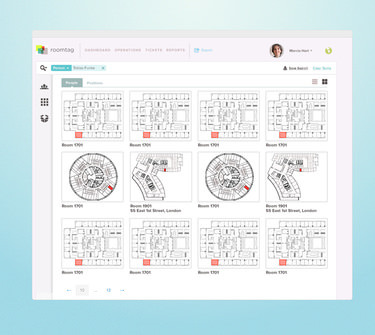 Roomtag’s stand along asset management tool made it easy to intake, track, and deploy assets across a company. I updated the dashboard to display the key metrics Roomtag’s customers had the most interest in day-to-day. 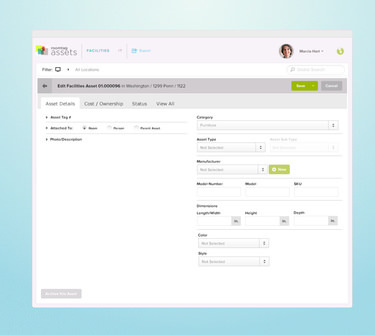 By focusing on jobs customers try to complete, I re-organized one large application into two effective tools, with innovative features for exploring how companies use their space. 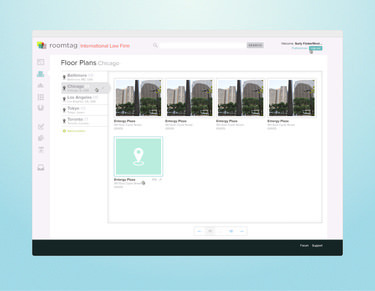 Asure Software acquired Roomtag in 2014 for $1.7 million. The application I designed lives on as Asure Smartmove.